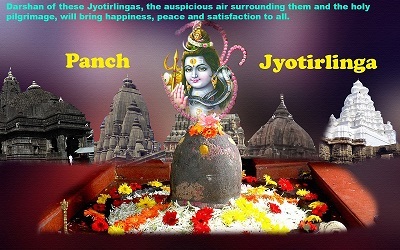 The sequence of travel for pilgrimage tour Shirdi - Shingnapur - Triambakeshwar jyotirlinga temple in day one early morning start from Mumbai and visit Triambakeshwar Jyotirlinga temple and proceed to Shirdi for overnight stay . Day two visit the holy temple of Shirdi Saibaba and important places in shirdi where Saibaba spent his life , and proceed to Shanishingnapur temple ( 75 kms ) onward journey to Mumbai. Pick up from Mumbai in the early morning and drive to Shirdi. En route visit to Trimbakeshwar for Jyotirliga Darshan. Upon arrival in Hotel check in and overnight at Hotel in Shirdi. Early morning Sai baba Darshan visit to Shirdi Sai Temple and other temples like Hanuman Temple, Mahalaxmi temple, later leave for Shani Singnapur and after Darshan and rituals drive back to Mumbai. Samadhi Temple that houses the statue of Shri Saibaba opens for public Darshan at 5am, when the temple opens. You need to be there well before 4am since a long queue is already there for a moment's glance of Sai Baba. It is the time when "Utha utha Sakala Jana" a melodious prayer is played on audio cassette. Exactly at 5.15am Kakad arati begins as a request to Lord Sai to wake up and give His merciful glances to His devotees. · Accommodation on twin or double sharing. · All surface transportation & sightseeing by AC Dzire/Similar car as per the above itinerary. All prices are calculated based on current fuel charges, city and parking permits, hotel taxes, govt. service taxes and road taxes. If the prices change during the time of group travel, the supplement will be applicable to the group. Early check in subject to room availability. Standard Check in 12 noon. Book online Tickets , Place can get crowded explore the Place inside the Temple. More than the Samadhi Mandir, Dwarka Mai, Museum are places that one must see. Its good read a bit before one goes there. Its a small place can be done in Half a day. If you are doing Aarti be on the Right line for Men and for Women be on the left line at the end point. 1. 1.At the entrance of Shingnapur, you will have to pay Rs. 6/- tax for gram panchayat. It means that you can park your car inside Shingnapur without any other parking charges. 2. Lot of people will try to fool you in terms of offering you help. Actually they would just looting you on behalf of Shani Dev darshan. They will follow you where ever you will go. Stay away from them. 3. 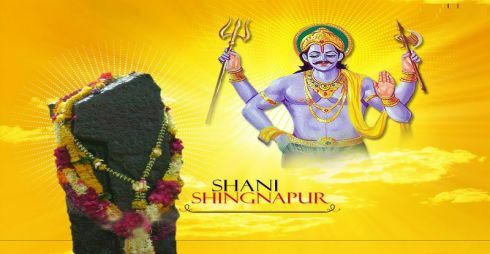 First of all it would be better that you just offer prayer at Shani Temple and do not use any other thing like ( Flowers, oil,black cloth, Shani yantra ). These people will just try to fool you and once you will complete your darshan they will try to take lot of money for Pooja samagri. Sometimes more than 1500- 2000. Please stay away from them. Whole market would come in their support and will harass you. You can take your car even to the main entrance of Shani Dev temple. Here you can get wheel chair from the mandir. You can either take the help from anyone at the cost of 100 bugs or self drive the wheel chair of your mother or father. However wheel chair cannot go to the last. but you can do darshan from outside easily.